"So what we're doing is not blocking a whole channel. We're inserting a bit of noise or additional data to break the link between the drone and operator,” he added. The Navy may not have full orbits of the MQ-4C Triton ISR platform until 2021. 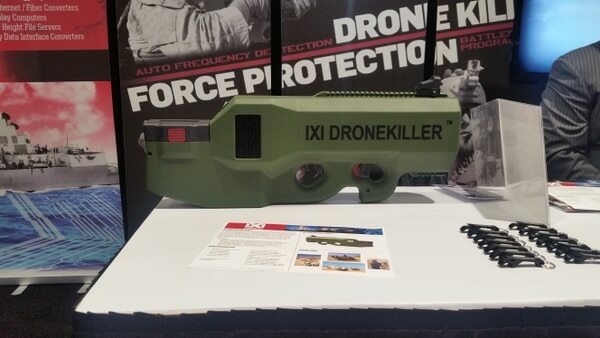 But whatever an ISIS fighter is trying to gin up from spare parts isn’t going to be able to stop the IXI Dronkiller from knocking it down, according to IXI Technology. Even better for the warfighter, the gun is as simple as point-and-shoot, with a 30 degree cone of effect on whatever target is being aimed at. 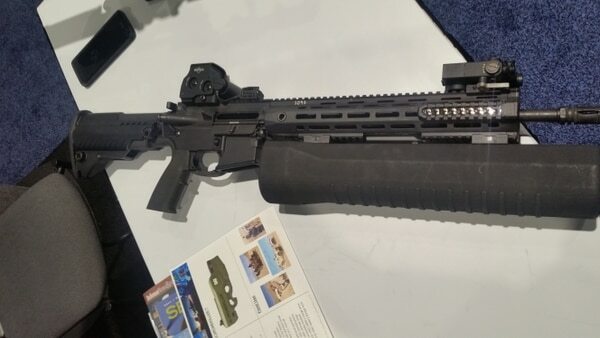 And a newer version of the device is even attachable to an assault rifle, similar to how one would attach an M203 grenade launcher. Oceanside Police Department in San Diego, California, as well as the Los Angeles County Sheriffs Department, already use a version of the device to knock commercial drones violating airspace regulations during events like the Golden Globes and Rose Bowl. "Two weeks ago, we sent them to Camp Pendleton, [California], where the Marines were testing it,” the official said. “And this week at Ft. Bragg, [North Carolina], the Army is testing it." 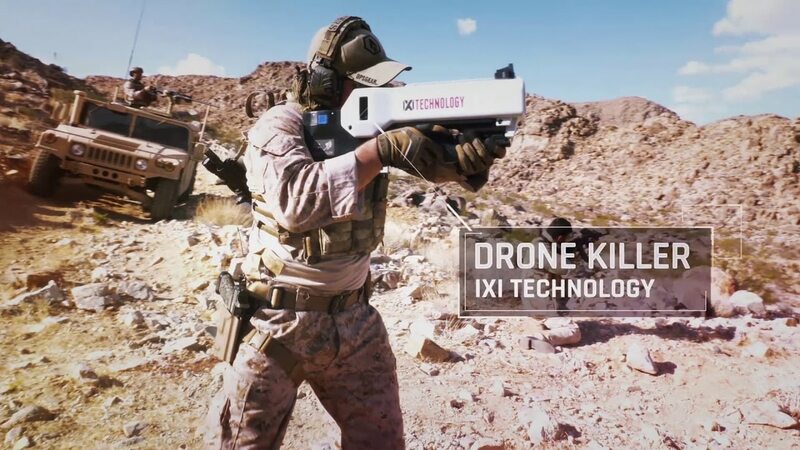 The IXI Dronekiller’s specifications state that it has battery life allowing four hours of active mode use, a rechargeable Lithium-ion battery, right or left hand operation, an environment-resistant frame, a weight of 7.5 pounds and a range of 1 kilometer. Even better for the ground-pounder, the gun is easy to use, with user training topping out at less than a minute.